I’m on record as a major Aaron Sorkin fan. The guy has written the scripts for some excellent flicks (Social Network, A Few Good Men) and he’s been the mastermind behind some great television (Sports Night, West Wing). Heck, I still maintain that his one flop Studio 60 started out great before losing its way. HBO has picked up Sorkin’s latest TV effort, The Newsroom. The series takes a look behind the scenes at the fictional Atlantis Cable News (ACN) and centers around respected anchorman Will (Jeff Daniels) and his new executive producer Mackenzie MacHale (Emily Mortimer) after a public outburst. The newsroom staff includes Alison Pill, Olivia Munn, and Dev Patel. That trailer definitely reeks of Sorkin-eese, and I’m excited to check out the full series once it starts airing this summer. 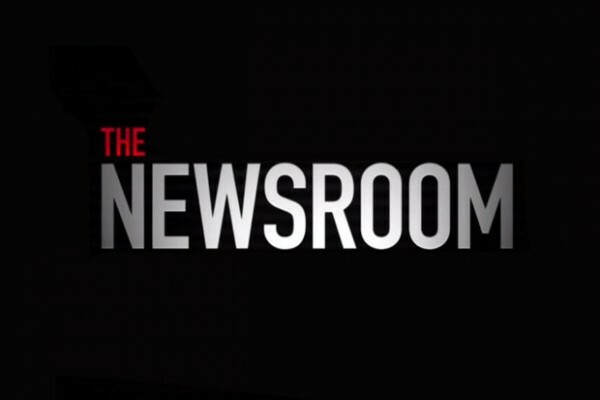 The Newsroom hits airwaves on June 24th, 2012. Comments for Aaron Sorkin Returns To TV With “The Newsroom” are now closed.